“Form follows function” was the mantra of the early 20th century modernist movement. But I’d argue it has much to offer today for anyone intent on delivering operationally effective solutions. Discussion of a product or services’ functionality will undoubtedly include words such as effective or productive, and so is rightly associated with positive functional outcomes. It implies a well-reasoned, robust and efficient solution, fit for the purpose intended. Indeed, fitness for purpose is enshrined in British consumer law. It means that purchased goods or services are required to be fit for the particular purpose for which they were sold. Should they fail or are unable to perform that purpose, they are considered unmerchantable. Leesman measures fitness for purpose: the ability of a workplace to fulfil its core reason for being. In almost all cases, that is to support employees in completing the tasks for which they have been employed. We’ve never shied away from stating this and our global growth has been fuelled by clients worldwide wanting to know exactly that: how their real estate supports their employees. Few workplace designers globally have warmed to a line-by-line, independent review of what matters most to employees. Neither do enough consider if the environment is fit for the purpose intended. The challenge for designers (of whichever discipline) is to feel comfortable with where their services sit on a functionality spectrum. This ranges from fine art and sculpture at one end, where functionality is arguably of little or no importance, to banal, purely operational products and tools at the other, where functionality is everything. Fashion design clearly sits left of centre, workplace design right of centre – but how far right? Facilities managers and workplace designers have long shared a less than respectful working relationship. One accuses the other of innovation at the expense of practicality, the other of allowing practicality to ride roughshod over aesthetic modernisation. But FMs are designers as well, albeit more often of services. And there are numerous examples of services within workplaces and beyond lacking the consideration and thought that a rigorous design process would instil, seemingly ignoring a form follows function sensibility. A trip on any British Airways short-haul flight provides a class lesson in how to screw with a service that worked, leaving customers with something that patently falls short of the quality expected. BA’s buy-on-board inflight catering strategy was implemented in January as part of wider programme to grow profits. The new approach is simply to charge everybody for everything, including bottled water, which was previously free. I don’t have an issue with the concept. It’s the solution I have a problem with – because it totally ignores the very basics of form following function. BA’s thinking is transparent. It wanted to charge for something that was previously free, so attempted to enhance the offer to warrant the price tag. 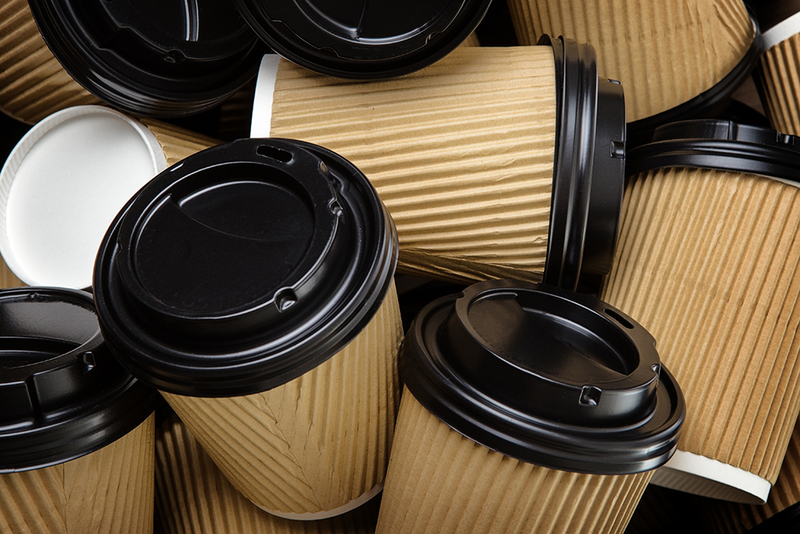 Instead of a small paper cup with (not that bad) stewed coffee from a plastic pot, with milk in a plastic thimble and sugar, stirrer and napkin in a bag, passengers now have a far more complex solution. A crew member who would previously dispense coffee to a row of three passengers in a little over a minute, now (based on my experience) takes six minutes. The coffee has the consistency of pond water and I begrudge the payment. But it doesn’t end there. Where previously a crew member could gather the empties almost with one hand, stacking cup in cup, they now have to juggle cups whose lids prevent any special efficiency. The multi-layered nature of function has been woefully forgotten. The form has been determined from just one or two functions without consideration for the other parts of that coffee cup’s journey. As for BA and its coffee, the airline should take note that 83% of employees rate tea, coffee and refreshment facilities as an important part of an effective office. And if you are travelling with BA any time soon, I’d go for the tea. Tim Oldman is the founder and CEO of Leesman, which specialises in how workplaces support employee and organisational performance.